What do you understand by the term EasyMock? A mocking framework and a Java-based library used for effective unit testing of JAVA applications is known as EasyMock. The interfaces are mocked such that a dummy functionality is added to a mock interface by using EasyMock. The EasyMock tutorial helps to understand the concept of EasyMock and create unit test using EasyMock and use its APIs in a simple way. Who are the audience for learning the concept of EasyMock? This tutorial is mainly targeted for the Java developers who desire to improve the quality of the software by using unit testing and test-driven development. The tutorial covers the basic concept of EasyMock. 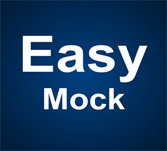 On completion of this tutorial one can become an expertise in the concept of EasyMock. What are the prerequisites required for learning EasyMock? Good knowledge and understanding of Java Programming language is essential for understanding the concept of EasyMock. Also knowledge and understanding of the concept of JUnit enables to better understand the concept of EasyMock.